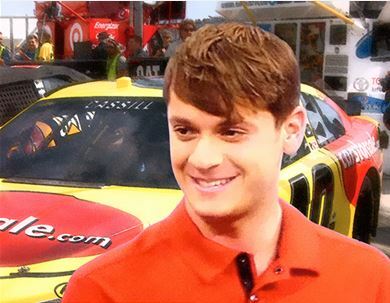 Carsforsale.com is sponsoring NASCAR Sprint Cup Series driver Landon Cassill and Hillman Racing in the #40 Chevrolet SS on May 9 at the SpongeBob SquarePants 400. 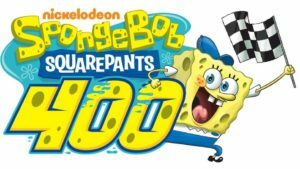 Yes, you heard correctly; the SpongeBob SquarePants 400. Nickelodeon signed on with NASCAR to be the primary sponsor of this weekend’s Kansas Speedway race. As Carsforsale.com and Landon Cassill prepare for the Saturday race, we wanted to commemorate our third race sponsoring the #40 Chevy. 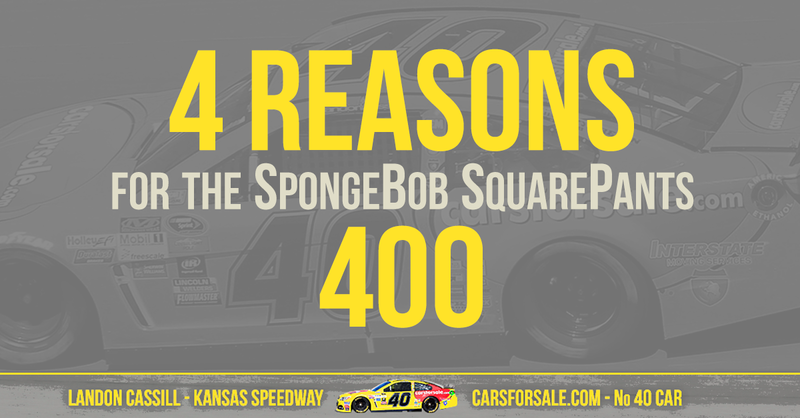 Here are four reasons why Carsforsale.com is excited for the SpongeBob SquarePants 400 at Kansas Speedway. 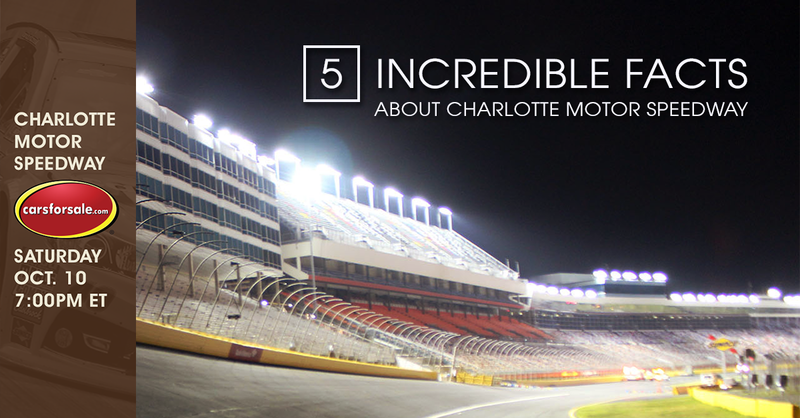 There’s something special about night races and this is the first true night race of the 2015 NASCAR Sprint Cup Series. The dark sky and lit track accompanied by a warm, comfortable summer night creates an electric environment. When cars crash or bottom out, sparks fly like fireworks. The environment and the racing just feels more exciting. 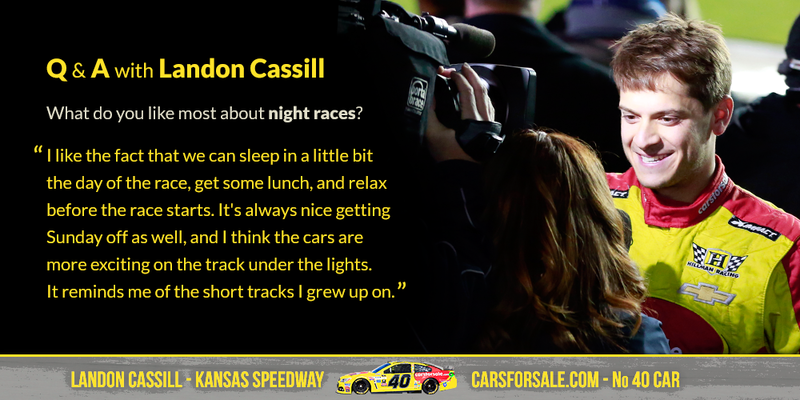 Our driver, Landon Cassill, told us he enjoys night races too. 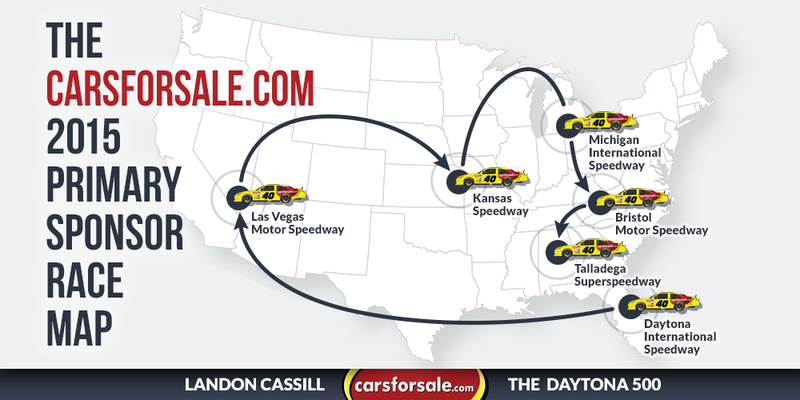 Kansas Speedway is the closest Sprint Cup race to Carsforsale.com’s HQ in Sioux Falls, S.D. Watching NASCAR on TV is great, but experiencing the race in person is the ultimate way to enjoy the sport. Compared to the other races we sponsor, this is a quick trip. 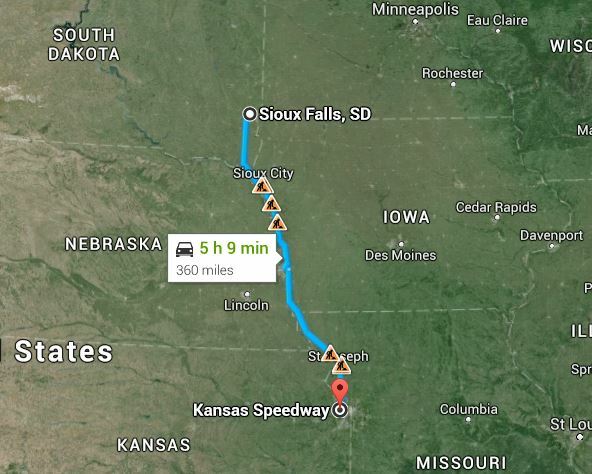 Kansas Speedway is 360 miles from our headquarters in Sioux Falls, SD. To travel that distance, it would take us five hours to drive, 32 hours on a bike or 120 hours on foot. According to the Kansas City Barbecue Society, Kansas City, K.S. has more BBQ restaurants per capita than any other place in the world. Racing and BBQ fit together extremely well. 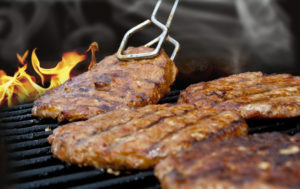 There’s nothing better than enjoying food off the grill with your buddies while watching the race. What better place to have the SpongeBob SquarePants 400 than a city packed with BBQ restaurants? Perhaps you think NASCAR and SpongeBob SquarePants don’t mix. It may seem like an abnormal combination at first, but this partnership is great for the sport. According to Theatlantic.com, during the 2013 NASCAR Sprint Cup Series, 86% of people watching NASCAR on television were older than 35. This race brings old and young together for an entire day of fun. Nickelodeon hopes to use this sponsorship to promote their newest movie, The SpongeBob Movie: Sponge out of Water, coming out on DVD and Blu-ray in June. 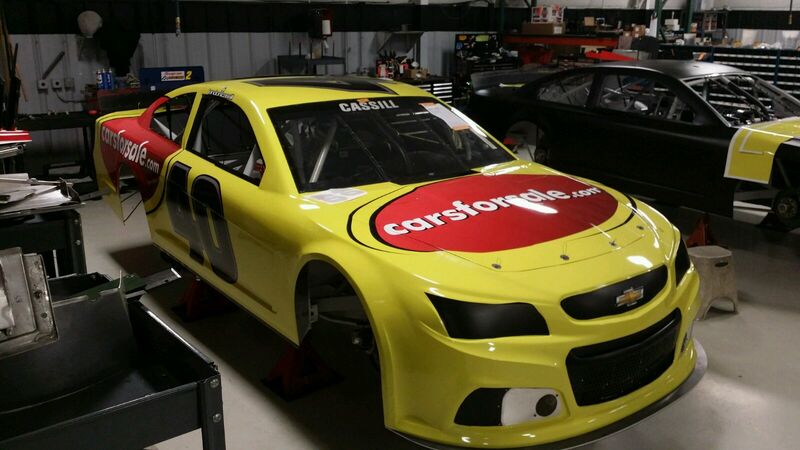 Don’t forget to tune in to Fox Sports 1 at 7:30 p.m. EDT on Saturday to cheer on Landon Cassill, Hillman Racing and the #40 Carsforsale.com Chevy SS. Be sure to follow Carsforsale.com on Facebook, Twitter and Google+ as we sponsor Landon at Kansas Speedway and three more races in the 2015 Sprint Cup Series. We can’t wait for the green flag to drop!